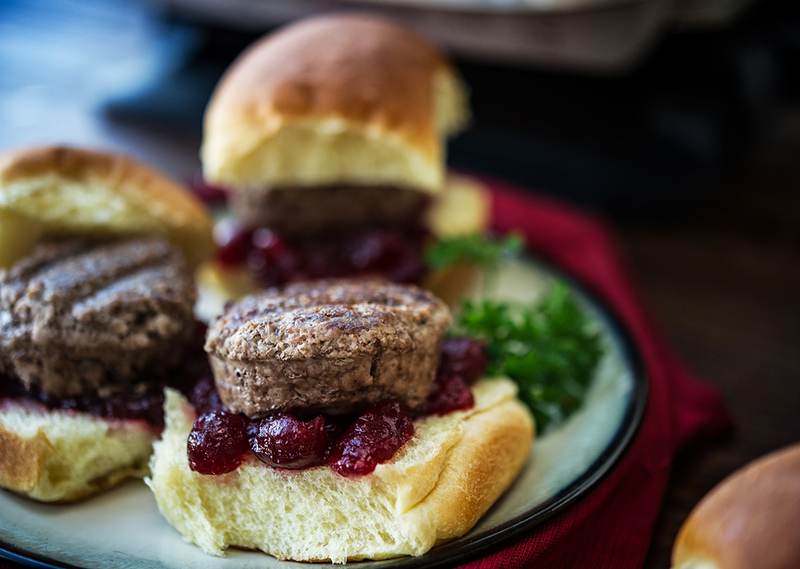 When you love your traditional holiday meal choices but are also always up for finger food, make these tasty sliders for the best of both worlds! Preheat George Foreman Evolve Grill to 375°F. 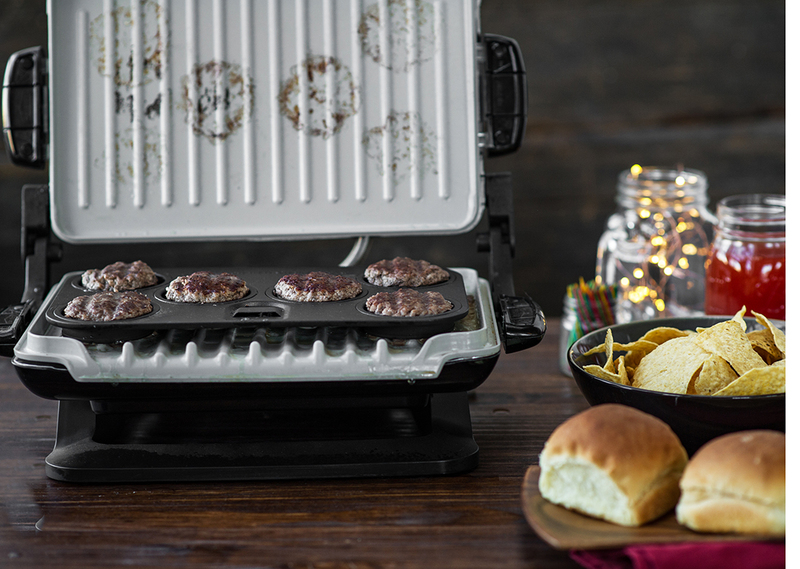 Add salt and pepper to ground beef in medium-sized bowl and form into 6 equal patties to fit slider tray insert. Place insert on bottom grill plate and place slider patty in each portion of slider insert. Cook patties for 4 minutes. 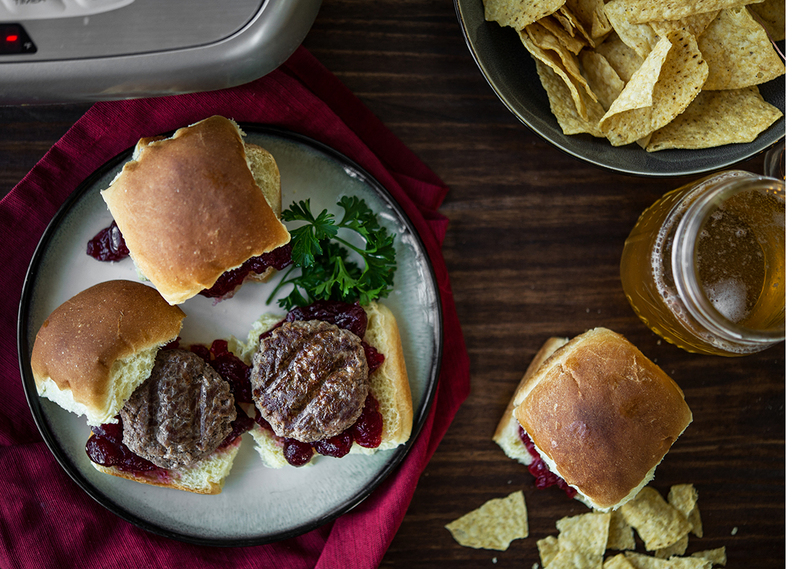 Remove patties from grill, build sliders and enjoy!